Research in Analytical Psychology: Empirical Research provides an original overview of empirical research in Analytical Psychology, focusing on quantitative and qualitative methods. 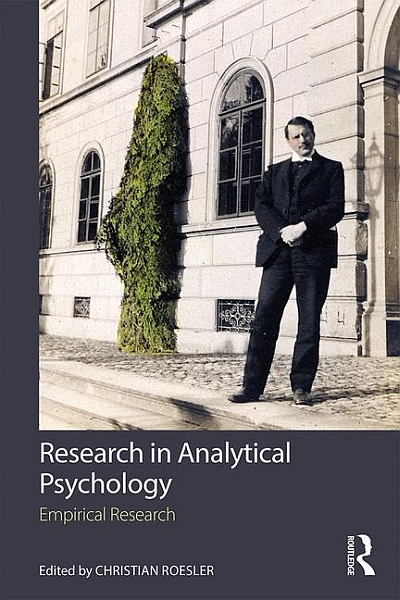 This unique collection of chapters from an international range of contributors covers all the major concepts of Analytical Psychology and provides a strong empirical foundation. The bookcovers a wide range of concepts and fields, and is presented in five parts. Part I, Epistemological Foundations, looks at psychological empiricism and naturalism. Part II, Fundamental Concepts of Analytical Psychology, presents chapters on complexes, archetypes, dream interpretation, and image. Part III, Trauma, addresses neuroscience, dreams and infant observation research. Part IV, Psychotherapy and Psychotherapeutic Methods examines sandplay, picture interpretation, quality management and training. Finally, Part V, Synchronicity, contains chapters concerning the experience of psychophysical correlations and synchronistic experiences in psychotherapy. Each chapter provides an overview of research in the field and closes with general conclusions, and the book as a whole will enable practitioners to evaluate the empirical status of their concepts and methods and, where necessary, update them. It also presents the necessary material for a re-evaluation of the status of Analytical Psychology within the broader academic field, supporting a move back into the heart of current debates in psychology and psychotherapy. This book will be essential reading for analytical psychologists in practice and in training, academics and students of Analytical Psychology and post-Jungian ideas, and academics and students of other disciplines seeking to integrate methods from Analytical Psychology into their research. It is complemented by its companion volume, Research in Analytical Psychology: Applications from Scientific, Historical, and Cross-Cultural Research. Roesler & Cambray, Introduction. Kime, Psychological Empiricism and Naturalism. Part 1: Basic Concepts. Roesler & van Uffelen, Complexes and the Unconscious. Sotirova-Kohli, Experimental Approach to the Study of the Archetype. De Coro, Analytical Psychology, Psychoanalysis and Cognitive Psychology. Part 2: Psychotherapy and Psychotherapeutic Methods. Roesler, The Effectiveness of Jungian Psychotherapy: State of the art. Keller, Quality Management and Empirical Research Activities in Jungian Psychotherapy in Germany. Ramos & da Matta, Sandplay: A method for data analysis. Roesler, Jungian Dream Interpretation and Empirical Dream Research. Kron, Dreaming Under Fire: The Psyche in Times of Continuous Stress. Krapp, Pictures of Transformation and the Therapist’s Symbolic Attitude. Merchant, Research on Training: Findings from the Evaluation of the IAAP’s International Router Training Programme. Part 3: Trauma. Cambray, Neuroscientific Studies of Trauma applied to Jungian Psychology. Lan, Education for the Heart: Healing of the Traumatized Children in China. Feldman, The Cultural Skin: Some Reflections on Infant Observation Research in Russia and China. Part 4: Synchronicity. Atmanspacher, Psychophysical Correlations, Synchronicity, and Meaning. Roesler, Synchronistic Experiences in Psychotherapy: An ongoing study. Christian Roesler, Ph.D., Dipl.-Psych., is a Professor of Clinical Psychology at the Catholic University of Applied Sciences in Freiburg, Germany, and Lecturer of Analytical Psychology at the University of Basel, Switzerland. He is also a Jungian psychoanalyst in private practice in Freiburg and a member of the faculty of the C.G. Jung-Institutes in Stuttgart and Zurich.